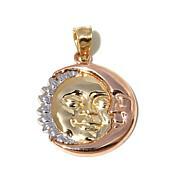 This classic 10K yellow gold medallion is a precious reminder of your faith. 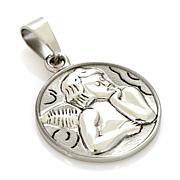 Slip it on a chain, wear it or give it as a gift. 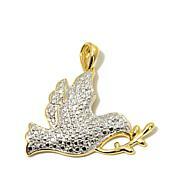 The design is appropriate for a man or woman. 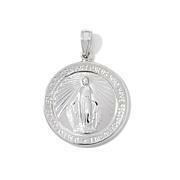 10K yellow gold medallion of St. Joseph and child with the words, "Saint Joseph" and "Pray for Us"
I give this item 4/5. It looks good on my 3mm gold rope chain.